Copyright 1985 by the Bromeliad Society, Inc.
Editor: Thomas U. Lineham, Jr.
Editorial Advisory Board: David Benzing, Racine Foster, Sue Gardner, Victoria Padilla, Ellen Jay Peyton, Robert W. Read, John F. Utley. Cover Photographs Front: Vriesea itatiaiae, a brilliantly colored native of the Itatiaia National Park, Brazil, found at high altitude growing both on bushes and bare rock. Back: Nidularium itatiaiae. Descriptions appear on pages 243-245. Both photographs are by Luiz Claudio Mango. 278 Nominations Open for the 1986 Election of Directors Allen G. Edgar, Jr. The Journal, ISSN 0090-8738, is published bimonthly at Orlando, Florida by the Bromeliad Society, Inc. Articles and photo-graphs are earnestly solicited. Closing date is 60 days before month of issue. Advertising rates are listed in the advertising section. Permission is granted to reprint articles in the Journal, in whole or in part, when credit is given to the author and to the Bromeliad Society, Inc. Please address all membership and subscription correspondence to Membership Secretary Linda Harbert, 2488 E. 49th, Tulsa, OK 74105. Subscription price (in U.S. $) is included in the 12-month membership dues: single - $15.00, dual (two members at one address receiving one Journal) - $20.00, contributing - $20.00, fellowship - $25.00, life - $750.00. Please add $5.00 for international mail, except for life members. For first class mail for any class of membership, please add $5.00. Individual copies are $3.25 for U.S., $4.00 for all other addresses, postpaid. Funds over $15.00 from contributing and fellowship members help to pay the cost of Journal color illustrations. Please see inside back cover for a directory of all officers and services. ay 1985. The season was fall, nearly winter. The mountaintops were covered with snow, and the tourists were arriving from everywhere attracted by the drastic change in the scenery. Small streams and lakes were frozen. The temperature fell to almost 14° below zero C. The green of the tropical forest presented a magnificent contrast with the thick layers of snow seen everywhere. All this happened at the Itatiaia National Park on Serra da Mantiqueira, on the border of Minas Gerais and Rio de Janeiro states—the first conservation unit founded in Brazil, on June 14, 1937. It was long before, in 1912, that the botanist Alberto Loefgren with the support of many other naturalists suggested to the then minister of agriculture the founding of the park which now occupies an area of 30,000 hectares. The park is situated in the biogeographical province of "Serra do Mar" and within the bounds of the morphoclimatic and phytogeographic "Tropical Atlantic"; comprising very distinctive flora and fauna. Some animal species still living in that part of the country are considered in danger of extinction, or are near extinction. Examples are the harpy eagle, Harpia harpyja, and the biggest neotropical primate, the "Muriqui," Brachyteles arachnoides, respectively. The vegetation of the park presents great variation as to appearance as well as to floristics aspects, depending on the altitude. At its lowest, between 700 and 1200 meters, the hygrophytic forest predominates with trees that can reach higher than 25-30 meters. At an altitude of 1300-2000 meters trees are only half as tall, and this elevation is subject to dense fog. At elevations over 2000 meters the open, grasslike vegetation begins to appear with spots of low-growing bushes. The rivers rushing through the park produce waterfalls of great beauty, such as Maromba and Campo Belo, and also those at the sources of Rio das flores. On the high plains above 2000 meters there are permanent lakes which freeze in winter. In spite of the intense cold of the fall and winter seasons, bromeliads are everpresent. In fact, they represent typical communities spread all over the area from the lowest parts, where epiphytes predominate, to the highest peaks, notably Itatiaiaçu which reaches 2787 meters. There, species growing on rocks are in the majority, surrounded by imposing rock formations. This conservation unit, under the protection of the Instituto Brasileiro de Desenvolvimento Florestal (IBDF), with headquarters in Brasilia, has raised considerable interest on the part of biologists and nature lovers during the years. Of the well-known naturalists who have studied the park we might mention Saint Hilaire (1822), Sello (1830), Glaziou (1872), von Fernsee (1879), and Ule (1894). In spite of their work, the park still offers an immense biological patrimony, including species unknown to science, to be researched. 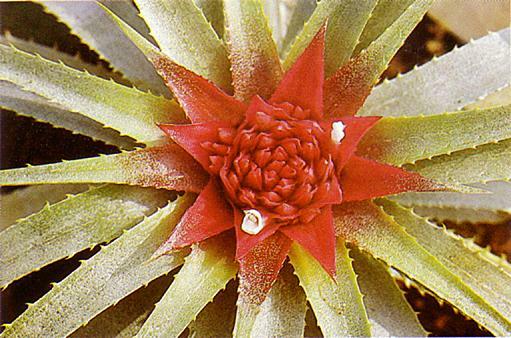 Many species of bromeliads native to Itatiaia are rare and seldom found in cultivation. One of them is the Nidularium itatiaiae L. B. Smith (see back cover) which grows mainly on the ground or on rocks from an altitude of 1000 meters up. Its main characteristics, in macroscopic terms, are: leaves with rounded tips, inflorescence slightly emerging above the rosette (the scape is smaller or equals the leaf sheaths), and primary bracts with indistinct blades of bright red, which give to the inflorescence a compact and capitiform look. The petals are blue, turning orange as they wither. Another outstanding representative of the bromeliological flora of Itatiaia is the highly coveted Vriesea billbergioides E. Morren ex Mez. This plant is exclusively epiphytic and shadeloving, thriving in very humid places. The specimens in the photograph (fig. l) were found in a small group at an altitude of 1800 meters, just above a waterfall. The V. billbergioides is a splendid acquisition for any bromeliad lover because of its small size and pendent inflorescence. at 1800 meters just above a waterfall. which the author hopes to adapt to cultivation. 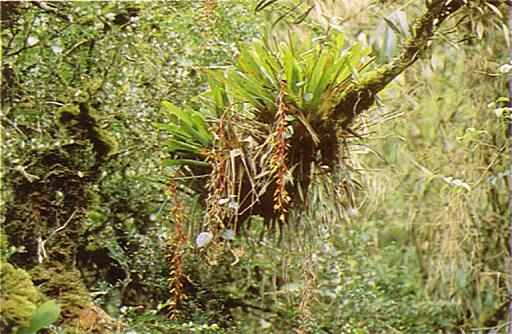 The magnificent Vriesea itatiaiae Wawra can be found as an epiphyte at the extreme altitude reached by bush-sized vegetation, about 2000 meters. 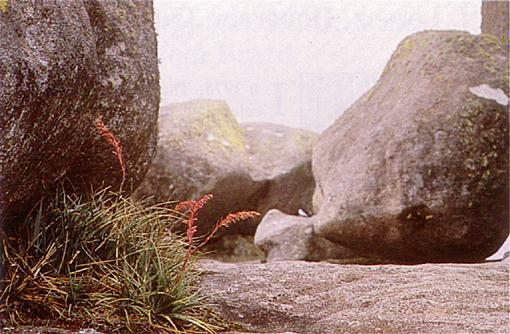 The more brightly colored specimens such as those shown in the cover photograph appear a little higher, up to 2600 meters, growing on the bare rock under the stresses of intense sunlight and high winds. On those open fields, usually fog covered, the species can be observed growing among formations of Fernseea itatiaiae (Wawra) Baker (fig. 2), endemic to the high plain of Itatiaia. Fernseea itatiaiae is an odd bromeliad although common in its restricted area of occurrence. It is found mainly in the crevices of rocks from which it is practically impossible to pick the plant without damaging it. It also appears growing straight from the bare rocks. The nature photographer Luiz Claudio Marigo and the collector Roberto Menescal say that they have observed this species previously as an epiphyte. This growth habit, often seen in the recently described F. bocainensis Pereira & Moutinho1, is atypical in F. itatiaiae and, while not an impossibility, still needs proof. Fernseea itatiaiae compares poorly with its neighbor V. itatiaiae as far as beauty is concerned, but it is an interesting and rare plant found only in this part of the world. Because of its rarity and to protect it from random picking, this species is the only bromeliad included in the Official List of Threatened Brazilian Fauna and Flora. As a result, its commercialization is forbidden. It is not, however, only the illegal gathering that threatens F. itatiaiae and the typical vegetation of that region. Fires set by arsonists from time to time cause serious damage to the biotic community of the high plains and neighboring areas. Several attempts have been made to establish the cultivation of F. itatiaiae at sea level, but that climate, especially in the city of Rio de Janeiro, has proved disastrous to the success of such enterprises. We go on trying, nevertheless, until some day we will be able to bring definitely nearer to us specimens of the flora of the high lands of the Itatiaia. n 1975, The Bromeliad Society, Inc. celebrated its Silver Anniversary and elected Elmer J. Lorenz its president. This was not only a well-deserved honor but most appropriate because Mr. Lorenz was one of the original twenty-one founding members of the BSI. From this beginning he has continued to be an active, interested, and vital member of our organization. Mr. Lorenz was also a member of the first BSI Board of Directors and served as membership chairman for several years. During his two terms as BSI president, the Mulford B. Foster Bromeliad Identification Center was founded, the BSI became the international registration authority for bromeliad hybrids, several BSI books were published, and Journal binders became available. In May 1985, the BSI Board of Directors sought to recognize and honor Mr. Lorenz's contributions to the society by unanimously electing him an honorary trustee of the BSI. Mr. Lorenz began growing bromeliads in the late 1920s and has also been very interested in other plants as witnessed by his membership and activities in approximately thirty plant organizations, among them The American Begonia Society, The Palm Society, American Horticulture Society, Cactus and Succulent Society of America, Los Angeles State and County Arboretum, American Conifer Society, The Heliconia Society, Royal Horticulture Society, The American Orchid Society, The Epiphytic Plant Study Group, and, the most prestigious of them all, "The Leaf Eaters." He has served as president and director of the Southern California Horticultural Institute and continues today as a board member. A visit to Mr. Lorenz's home in Los Angeles, California, is a visit to a botanical garden. He is reluctant to name his favorite bromeliad genus (like many early growers he began with Billbergia nutans) but admits that he is very fond of tillandsias, although his collection of bromeliads is extensive and varied. We salute this pioneer bromeliad grower and thank him for his years of love and service to the BSI. n the course of their trip to northern Brazil in September-October 1981, L. Horst, a cactus specialist, and the author found two orthophytums in the vicinity of the small town Seabra (Bahia). These were growing in dense mats on a limestone plateau in association with cacti, terrestrial orchids, Velloziaceae, and other plants. They looked very similar to each other; the one had bigger rosettes with larger leaves; the other was smaller and had narrower leaves. We assumed that the plants could be varieties of one species which was unknown to us. It was unfortunate that only one specimen of the smaller variety was in postfloral condition. We sent living material to the Botanical Garden Heidelberg, where the plants grew very well and came into flower. In December 1984 the bigger plants started flowering (collection no. 56 497) and in March 1985 several specimens of the smaller plants (collection no. 57 497a) came also into flower. Inflorescence and flowers of the latter were similar to those of our number 56 497. Therefore, we regard our no. 56 497a as a variety of the 56 497. With this evidence, we have concluded that the larger plant is identical with Orthophytum burle-marxii described in 1979 by Lyman B. Smith and Robert W. Read after a specimen which flowered in the Botanical Garden Munich and which Garden Inspector Josef Bogner received from the famous Brazilian garden architect Roberto Burle-Marx (fig. 4). The type locality was unknown. 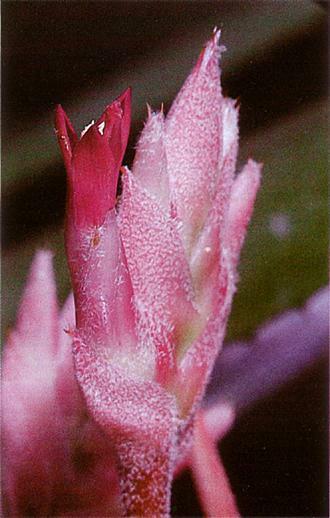 The description and color photographs were published in the Journal of the Bromeliad Society, 29(4):164-165; 1979. Since the original description is short, we can emend it according to our collected material. Fig. 4: Flowering plant of Orthophytum burle-marxii var. burle-marxii in cultivation. The plant is 80 cm. in diameter. Fig. 5: Orthophytum burle-marxii var. seabrae in full flower. Orthophytum burle-marxii L. B. Smith & R. W. Read emend. Rauh. 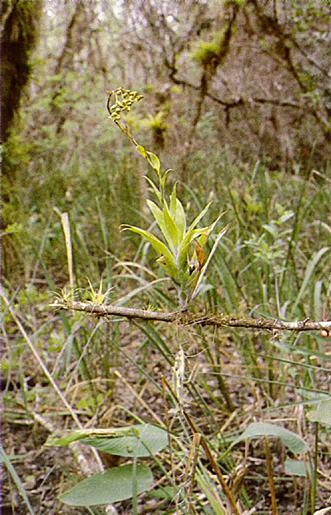 Plant with a short, 5-cm long, thick axis, propagating by stolons after flowering. Leaves numerous, at first erect, at anthesis spreading and forming a flat rosette of 60-80 cm in diameter. Sheaths conspicuous, broad-ovate, up to 2.5 cm wide and 1.5 cm high, pale green above, pale leatherbrown at the base, glabrous beneath. Blades narrowly triangular, long attenuate, up to 40 cm long, l.5-2 cm wide above the sheath, slightly canaliculate, densely white adpressed lepidote, dentate at the margin; the teeth are very small, antrorse, about 1 mm long and 5 mm distant one from the other; inner rosette leaves much shorter, becoming glabrous at the base and coloring bright red before flowering, continuing into the primary bracts. Inflorescence short-capitate and sunk into the center of the rosette, up to 4 cm in diameter, bipinnate at the base, simple apically. Scape nearly none. Axis of the inflorescence very short, truncate, 2 cm high, up to 3.5 cm in diameter with ± 20 spikes, resp. flowers. Basal (= outer) primary bracts subfoliate, with a greenish white sheath and a triangular, carmine-red, glabrous blade, only at the tip somewhat lepidote; in their axils mostly sterile, reduced spikes. The next inner primary bracts erect, short triangular, producing in their axils fertile, subsessile spikes l.5 cm long and 2 cm wide. These have only 3 flowers, arranged in one plane. The floral bracts of the lateral flowers of the basal spikes are sharply carinate, long-lanceolate, bright red in the upper half and greenish at the base, inconspicuously dentate and laxly lepidote, as long or longer than the sepals. The innermost bracts of the inflorescence represent the floral bracts of the simple part of the inflorescence (= terminal spike) and are erect, triangular, short acute, up to 3 cm long, 1.5 cm wide at the base, bright red in the upper part and pale green at the base, laxly lepidote, irregularly dentate at the margin and much longer than the sepals. These are 20-22 mm long, 10 mm wide at the base, carinate, sharply acute free, carmine-red in the upper half, yellowish green at the base, laxly lepidote. Petals white, up to 30 mm long, ligulate with spreading, obtuse blades and 2 vase-shaped ligulae at the base. Stamens and style included. Filaments of the inner stamens affixed to the petals. Ovary triangular-flattened, green, 5 mm long, 3 mm thick; ovules subapical, obtuse; epigynous tube inconspicuous. Collection no. : Rauh and Horst 56 497 (Oct. 1981), in the herbarium of the Institute of Systematic Botany of the University of Heidelberg (HEID) and cultivated in the Botanical Garden. Not far from the locality of O. burle-marxii we collected our no. 56 497a, which is in all parts smaller than the plant above, and we consider it as a variety of O. burle-marxii, which we name: Orthophytum burle-marxii var. seabrae1. This variety (fig. 5) differs by the smaller rosettes—these are only up to 35 cm in diameter, by the narrower leaf blades, only up to l.2 cm wide, by the very densely lepidote blades. These appear pure silver-white. The inner rosette leaves are much smaller and form with their bright red color a kind of involucrum beneath the inflorescence which is mostly simple; the floral bracts are often shorter than the 12-15 mm-long sepals; the white petals are nearly erect and only 15-20 mm long. Holotype: Rauh 56 497a (6.10.1981), in herb. Inst. Syst. Bot. Univ. Heidelberg (HEID), preserved in alcohol at the Botanical Garden. Distribution and locality: Close to the type, near Seabra, on limestone plateaus (Bahia) Brazil. var. burle marxii. Blades up to 30 cm long, 2 cm wide, laxly dentate. Inner rosette leaves and primary bracts dark wine red; inflorescence mostly bipinnate. Floral bracts mostly longer than the sepals. Petals up to 30 mm long with spreading blades. var. seabrae Rauh. Leaves only up to 20 cm long and l.2 cm wide, very densely dentate. Inner rosette leaves carmine-red only at the base; inflorescence often simple. Floral bracts often shorter than the sepals. Petals only up to 20 mm long, their blades erect. The most striking difference between both varieties is that the center of the rosette in the var. seabrae is less colored than in the var. burle-marxii. l. After the locality. The Latin diagnosis is published in Bromelienstudien XVI, Tropische und subtropische Pflanzenwelt, vol. 52, 1985.
s one can see from our illustration (fig. 6) this new species of Guzmania with its sunken inflorescence and long white petals can easily be mistaken for a Nidularium at first glance. However, the leaves lack spines and the ovary is superior as can be seen through the transparent petals without the necessity of a dissection. 112a. Guzmania nidularioides L. B. Smith & R. W. Read, sp. nov. A G. sibundoyoro L. B. Smith, cui affinis, foliis rosulatis, bracteis primariis omnino foliaceis, sepalis liberis, petalis valde elongatis differt. Plant apparently stemless but base unknown. Leaves rosulate, ca. 30 cm long, minutely lepidote, finely dark maculate on the top of the sheath and base of the blade both adaxially and abaxially; sheath elliptic; blade ligulate, ca. 15 mm wide, acute. Inflorescence compound with flowers fasciculate; primary bracts completely leaf-like and only slightly smaller; fascicles 4-flowered. Floral bracts oblong-spatulate, ca. 27 mm long, membranaceous, minutely lepidote, pale brown; flowers sessile. Sepals like the floral bracts. Petals 8 cm long high-connate in a slender tube, white; lobes elliptic, 12 mm long. Colombia: Choco: Anserma-Nuevo, elev. 1925-2000 m; ca. 4° 40' N, 76° 26' W, low montane forest, terrestrial, infrequent, 13 May 1984, James L. Luteyn 10 406, Ricardo Callejas, John J. Pipoly (US holotype, NY isotype). he hydroponic cultivation of plants has become more and more popular in recent years. There has been a constant increase in the plants available in nurseries and in garden centers and even in department stores and supermarkets. The number of publications on the subject has also increased. New books appear ever more frequently, and journals for professional gardeners and plant hobbyists are regularly publishing articles on hydroponics. The growing popularity of the practice is due not just to clever advertising. Hydroponics clearly offers to the grower of ornamental plants certain advantages especially in simplifying and reducing the time spent on taking care of the plants. If you look at the currently available and saleable plants grown hydroponically, you will note a lack of blooming plants. Except for African violets and a few Araceae such as anthuriums and dieffenbachias (more important as foliage plants than as blooming plants) one finds hydroponically grown blooming plants very rarely in the shops. This is partially explainable by the fact that commercial nurseries produce many short-lived flowering plants that would be disproportionately more expensive in hydroponics. It must also be recognized that a great many blooming plants cannot tolerate having their roots submerged in water. This, however, is not the case with the vase-shaped bromeliads, and it is a mystery that commercial nurseries have not discovered the possibility of growing these popular plants hydroponically. In addition to the vase-shaped bromeliads, it has also been my experience that the xerophytic terrestrial bromeliads are also ideal subjects for hydroponics. For this group of plants, however, there is a variation in the technique; the nutrient solution should be on the roots only for a short time and then drained. Cactus growers will recognize this process as the pumice technique or as cultivation in a mineral medium. Hydroponics, or soilless cultivation of plants, is the raising of plants in media that are (almost) without nutrition and that show no notable change through decay or decomposition. The necessary nutrition is supplied to the plants in aqueous solution either constantly (the standing-water process) or periodically (the flooding process). The latter is used even with succulent plants observing specific growth and rest periods. Various growing techniques using synthetic media (e.g. artificial fiber), natural mineral media (lava, pumice, gravel), baked mineral media (exploded clay, exploded shale) or other media without organic additives are all forms of hydroponics. The word "hydroponics" is provocative to many plant hobbyists. It is often connected to the idea of roots dangling in water, of plants forcibly being converted into water plants, and this type of plant cultivation is understandably viewed as unnatural. But hydroponics has no relation to water plants. For xerophytic plants, cultivation in pumice, lava, or exploded clay using the flooding process comes closer to the natural conditions than does growing them in conglomerate media with leaf mold, peat, or compost. Also, is not the demand for "naturalness" absurd in regard to a plant from the Asian steppes or from the rain forest when we grow it in a plastic pot on the window sill or in a snow-covered greenhouse? It seems much more essential that the plants from the tropic rain forests and subtropic dry areas that we grow in our living rooms and greenhouses grow as well as possible with the least care, that the cost of the necessary trappings remain affordable, and that we achieve aesthetically satisfying growing conditions. This last-named demand admittedly is not always fulfilled satisfactorily in hydroponics. The standing-water process and the flooding process were both mentioned above. Other hydroponic methods, which to some degree are used in commercial nurseries or are still in the process of development, are for the time being of no significance to the plant hobbyist. In the standing-water process, nutrition is always present. The height of the water level varies from 0 to 30 or 50 mm according to the rate of absorption by the plants and the amount of attention the caretaker can give. High water levels are tolerated by only a few plants; this has led to the fact that the number of hydroponically grown plants in commerce has been relatively limited. A special form of the standing-water method is the Blaicher system. Blaicher containers have a reservoir for water and nutrients constructed on the principle of the poultry waterer. It is then possible to maintain a very low water level and still utilize the main advantage of hydroponics, infrequent and unproblematical watering. To grow plants in standing water assumes that their roots can tolerate being submerged. With the vase-shaped bromeliads this is generally the case. Nevertheless the level of nutrient solution should generally not exceed 20 mm. Since these plants demand very little water, replenishing of the water supply may be postponed for two to four weeks. In the flooding process, the nutrient solution is introduced at intervals determined by the type of plant, the medium, the weather, the season, and other factors, then it is drained off after 15 to 30 minutes. Part of the nutrient solution remains in the pores and intermediary spaces of the medium. Because of the better aeration of the root system (the roots absorb oxygen from the air) the flooding system is far better than the standing-water system for most plant species. Further advantages of the flooding system are the easy varying of the nutrient supply, the elimination of easily obstructed water-level indicators, and the simplicity of the automation, which make the system especially attractive to greenhouse owners. Containers may be individual pots and tubs. Individual pots are useful only with the standing-water system; flooding would require additional work. The containers usually consist of three parts—an exterior tank holding the nutrient solution, the round, plastic growing pot holding the plant, and the water-level indicator. The selection of the exterior tank is usually based on economic as well as aesthetic considerations. It should be noted that the size of the water supply and the frequency of watering are dependant on the size and form of the nutrient tank. A rectangular one is therefore preferable to a round one. Containers not originally intended for hydroponics can be used if they are suitable for food or are appropriately coated on the inside. Ceramic containers must be perfectly glazed, because otherwise the material could be attacked by the nutrient solution and substances harmful to the plants could be dissolved. Transparent containers are not recommended because of fast alga growth. The size of the nutrient tank and the growing pot are dependant on each other. Growing pots are most commonly found in heights of 12 and 19 cm in combination with various diameters. Tall plants are better planted in the taller pots. For vase-shaped bromeliads the lower pot with a 15 cm diameter is usually appropriate. Even large plants with leaves 50 cm long or more have enough room in these, even if they have increased for several generations into three or four rosettes. In the water-level indicators, the floats are always plagued by invading roots, planting medium, or particles of nutrients. Unwanted surprises can be avoided only by testing the function of the float regularly, for example by tipping the container slightly. Water-level indicators that can be removed easily from the container and cleaned are recommended. —The height of the medium should be 10 to 15 cm, depending on the size of the plant; very tall plants need 20 cm. —Do not use corrosive metals. —Containers made of materials that can be corroded by the nutrient solution and emit elements dangerous to the plants must be coated inside with material suitable for food containers. It makes no difference basically, whether the plants are put into pots and then into the tub or are simply planted directly into the tub. The use of pots may make it easier to exchange plants even if the pots are surrounded by medium. Surrounding them with medium is especially advisable with the standing-water method, so that the nutrient solution will be protected from the light and alga growth can be prevented. Small plastic pots turned upside down can be set in the planting area to displace some of the planting medium; the possible supply of nutrients is thereby considerably increased. Water-level indicators for tubs should be so constructed that the floats can be removed in order to draw off the nutrient solution with a hose and the container can then be rinsed with water. If bromeliads are to be grown along with other plants in a tub, the demands of the other plants must also be considered. Combinations with ferns and orchids are possible, but species are to be used whose adaptation to hydroponics has been proven. Ferns and orchids are usually more sensitive to salts than are bromeliads; thus you will have to adjust the nutrients to them and possibly resign yourself to the fact that the bromeliads will be undernourished. This problem can be solved by fertilizing the bromeliads through the foliage (see section 5). Combining bromeliads with fast-growing plants such as philodendrons, monsteras, dieffenbachias, or ficus is problematical, since the correct amount of nutrients for the bromeliads is very difficult. In general, one should not plant a tub too densely in order to prevent the plants from being totally matted in a few years, thus hindering each other's growth and preventing them from reaching their full beauty. After many experiments with natural stone, plastics, brick shards, and other materials, hobbyists have settled primarily on exploded clay because of its very basic advantages. Recently we have also seen exploded shale on the market occasionally. It is not greatly different from exploded clay in its properties and in its suitability for hydroponics. Exploded clay must be washed thoroughly before use, since it contains considerable amounts of dust and other impurities. Several days of watering is recommended. Under normal circumstances the standard size 8/16 mm is used exclusively. Finer grades absorb more water, which cannot be tolerated by many plants over a long period of time, since the roots are seriously prevented from breathing. Occasionally the finer grades are used for seed sowing and for cuttings and pups. Only exploded clay that is expressly designed for hydroponics may be used. Exploded clay found in the construction trade is prepared differently and contains elements dangerous to plants. Cactus hobbyists frequently use pumice or lava gravel as a medium. Depending on their origin, these volcanic rocks contain considerable amounts of calcium, which makes their use as a hydroponic medium quite problematic. A check on the pH value or the calcium content is urged. In these cases the pH value can be lowered by proper treatment that is too involved to describe here. Pumice is more porous than exploded clay and can hold more nutrition in its pores. In a test I found that a sample of grade 8/16 absorbed almost twice as much water as exploded clay and was hardly wetter on the surface. In the flooding system this can be an advantage, especially with plants that have a somewhat greater need for water, as for example some puya species. Incidentally, these species show that the medium is too dry by rolling their leaves. For plants that are very sensitive to moisture, pumice is not so well suited. Hydroponics became possible after Justus von Liebig, in 1840, recognized that "inorganic nature is the source of plant nutrition" The simple inorganic chemical compounds that the plant roots absorb in the water are constantly replenished in nature by the decomposition of dead organic material and by the decay of rock. Neither of the processes takes place in hydroponics. Therefore, all the nutriments needed by the plant must be supplied from outside in a carefully measured mixture. The main problem in hydroponics has been and still is the production of a nutrient solution with which the hydroponically grown plant will thrive satisfactorily over the years. The most important criterion for a proper nutrient mix for any given plant is the proportion of the so-called macronutrients nitrogen, phosphorus, and calcium, the NPK ratio. Whereas foliage plants need a reasonable supply of nitrogen and potassium, flowering plants, especially at bloom time and during seed development, need less nitrogen and considerably more phosphorus. Practically all of the currently available hydroponic nutriments are more or less designed for foliage plants. This is true especially for the ion-transfer nutrients LEWATIT HD 5 from the Bayer company available under various trade names. This product has greatly revolutionized hydroponics and the standing-water process. In LEWATIT HD 5 the plant nutrients are bound to water-insoluble plastic resin. The release of nutrients comes about gradually as they are exchanged with salts added to the water and the plant's metabolic products exuded through the roots. The essential advantage compared to conventional salts or liquid nutrient mixes is that normal tap water can be used for watering, whereas a complete change of nutrient solution is necessary every four to eight weeks with the old products, with Lewatit this is superfluous since the metabolic products and the salts in the irrigation water are bonded to the Lewatit and thus can not reach levels dangerous to the plant. When feeding flowering bromeliads only with Lewatit, just as in orchids, the flower formation is unfortunately totally unsatisfactory. Help is, however, relatively easy by the addition of some extremely low-nitrogen fertilizers such as those sold as high-bloom fertilizers. Before we talk about recommended dosages, let us first describe some important characteristics of irrigation water and nutrients as well as possible controls. The hardness of tap water is indicated by °d (degrees of German hardness). Water with up to 7 °d is considered soft; over 18 °d is considered very hard. The hardness of drinking water can be determined by test papers; it is simpler, however, just to call the water company. Directly related to water hardness are also the salt content (measured in g/l) and the electrical conductivity (measured in µS/cm—microsiemens per cm). The water that I use from the cities of Witten and Bochum has a hardness of 8 to 12°d and a conductivity of 350 to 500 µS/cm. In hydroponic nutrients there is an additional consideration regarding conductivity, since it can act as a measure for sufficient and, even more important, exaggerated nutrient supply. To illustrate, when there is too much salt present, the roots can be damaged. Normally the conductivity of a nutrient solution is between 800 and 2000 µS/cm. To measure the conductivity, you need measuring devices costing over 200 DM. The second important value of conductivity in a nutrient solution is the pH level, which tells you whether the nutrient solution is acidic or base. The overwhelming majority of all plants including bromeliads prefers a slightly acid environment of about pH 5 to 6. The neutral point is pH 7. Higher values indicate a basic or alkaline environment and are not tolerable by most plants. Testing the pH value can be done with sufficient accuracy with litmus paper, available from chemical dealers. Finally let us note the possibility of measuring the nitrate content of a solution using (Merckoquant) nitrate tabs. With these test devices, also available from chemical dealers (but not inexpensive), you can determine whether a nutrient solution has been exhausted, which can be important when using expensive Lewatit. Also these tabs can possibly show the presence of dangerous nitrites in the solution, which can occur from the rotting of plant parts. Once the nitrate content of a Lewatit solution has sunk below 30 mg/l, you can assume that the plants are no longer being fed sufficiently. At the same time there is a danger that the salts from the irrigation water will become too strong and will bring about an unwanted change in the pH value. I do not want to give the impression that successful hydroponic culture requires a degree in chemistry. But I would like to emphasize that care must be taken in measuring the dosages of liquid and salt-forming nutrient mixes and a regular addition of ion-transfer nutrients is very important. Since a plant's nutrient needs are dependant on its size, environmental factors such as light and heat, and on the season, it is impossible to outline general rules for the dosages. Too much Lewatit is possible when you are using very hard water; other nutrient mixtures cause very fast damage when used too strong. he identity of Guzmania fusispica Mez & Sodiro has been difficult to determine because the type specimen, which is unnumbered, is very poor. While I have not seen the specimen itself, I have examined a U.S. National Herbarium photograph of it. Recent collections of a guzmania with pleated foliage and a simple yellow-flowered inflorescence from western Ecuador near the type locality of G. fusispica are, however, almost certain to be of this species. In addition, G. recurvo-bracteata Rauh, which occurs in the same general area, is conspecific and should be reduced to synonymy. G. melinonis: Sepals ca. 15 mm long; floral bracts strict, erect to slightly incurved apically; scape usually longer than the leaf sheaths; native to lowland, wet forests on the eastern slopes of the Andes. G. fusispica: Sepals ca. 25 mm long; floral bracts recurved apically; scape usually shorter than the leaf sheaths; native to premontane rainforests on the western slopes of the Andes. 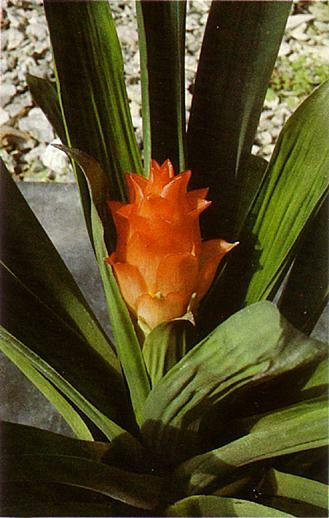 Guzmania fusispica has been collected from the provinces of Pichincha, Cotopaxi, and El Oro. Several specimens flower every June at the Marie Selby Botanical Gardens but do not thrive because of high summer temperatures. In contrast, G. melinonis is well adapted to the hot, humid climate of Sarasota. Guzmania fusispica, rarely found in cultivation, is usually misidentified as G. strobilantha (Ruiz & Pavon) Mez, a totally dissimilar species from Peru. Fig. 7: Guzmania fusispica, flowering at the Marie Selby Botanical Gardens, collected by C. H. Dodson in Cotopaxi Province, Ecuador. Fig. 8: Sun-loving Catopsis berteroniana shown here with juveniles, occurs more commonly high in the canopy. he name Catopsis, thought to be derived from the Greek word meaning a place with a view (Smith and Woods 1975), aptly describes the habit of at least one member of the genus. Catopsis berteroniana, commonly called the yellow catopsis, is a sun-loving, tank epiphyte that grows in the upper canopy of its hosts. Though not widespread in Florida, C berteroniana is locally abundant in a few habitats. Craighead (1963) noted that it occurs in hammocks of the Everglades National Park (ENP). It is found, more commonly, in mangrove stands that are protected from wind and salt spray and in cypress and pop ash swamps. In the Fakahatchee Strand State Preserve (FSSP), C. berteroniana occurs higher in the canopy than 17 other epiphytes with which it is associated (average height = 5.2 m). Dwarf red mangrove stands in ENP support individuals at a height of 0.5 to l.5 m, but these are still in the most exposed portion of the canopy. 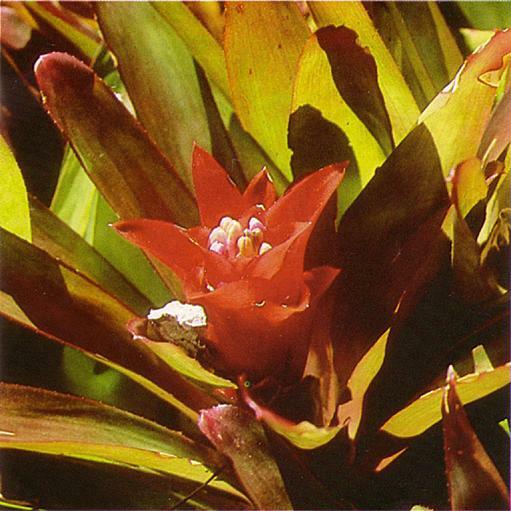 Other bromeliads commonly found with C. berteroniana include Tillandsia balbisiana, T. fasciculata, T. flexuosa, T. paucifolia, and T. recurvata in ENP, and C. floribunda, Guzmania monostachia, T. setacea, and T. variabilis in the FSSP. Flowering populations in the Everglades are easily located since the inflorescence protrudes above the canopy while the rosette is located within the crown. In this position, seeds are readily dispersed by the wind and the vegetative portion of the plant is afforded protection, but is not shaded by its host. The yellow-green, wax-coated leaves of C. berteroniana easily distinguish this species from other Florida bromeliads. Leaves are 30-50 cm long, 4-8 cm wide, and covered with a white, waxy powder. One possible function of this coating is to capture insects. Those that fall into the rosette are unable to climb the slippery leaves, but they can exit if the white powder is removed (Fish 1978 cited in Ward 1979). The powder may also attract insects to the plant. Fish noted that nutrient procurement is especially important in the upper canopy. Another possible function is water retention. Water collected in the rosette often is covered with the white powder and this film may retard evaporation. Although preliminary experiments have not detected such effects, most epiphytes depend on stem-flow or leaf-drip for water and nutrients. These sources are not available for high canopy dwellers such as C. berteroniana so that adaptations for procurement and economical use of water and nutrient are of great value. Inflorescences of C. berteroniana are bipinnate except on small rosettes which often bear a simple spike. The polystichous spike has many widely spaced flowers and may be up to 100 cm in length. Flowers in the Florida population are perfect, which means that they possess both male and female reproductive parts. They may be dimorphic elsewhere (Smith and Downs 1977). Sepals are 9-12 mm long, often exceeding the length of the 3 white petals. Sepals are 9-12 mm long, often exceeding the length of the 3 white petals. Stamens and stigma are included so potential pollinators must gain access through the 2-4 mm opening formed by the sepals. The beaked capsule is up to l.5 cm long. It may contain as many as 30 plumose seeds each having a hair-like seed appendage termed a coma. This form of seed is a characteristic of the genus Catopsis. Seeds of C. berteroniana germinate readily if certain conditions are met. Abundant moisture is critical, but seeds must also dry thoroughly between waterings for optimal germination. Few seeds germinate under natural conditions and mortality is high for both seedlings and adult plants. Almost 10 % of a population in ENP was lost because of wind throw, bark exfoliation, and unknown causes in an eight-month period (Bennett, MS). Floral anatomy of the Florida populations suggests self-pollination. Moreover, individuals in greenhouse often set seed. Field studies in ENP also have demonstrated seed set in bagged inflorescences. Although enclosures prevented access by most insects, ants sometimes were found on the inflorescences. They may have been hidden within the floral bracts prior to enclosure. Ant pollination is rare and it is unlikely that they are obligate pollinators of C. berteroniana. Should it occur, ant pollination would most often result in pollen transfer within a plant. This is the evolutionary equivalent of self-pollination. Ants visit flowers of the yellow catopsis presumably to forage for nectar. C. berteroniana may benefit from the nitrogenous wastes of these visitors. The ants also may interfere with herbivores as do those associated with some tropical Acacia species. 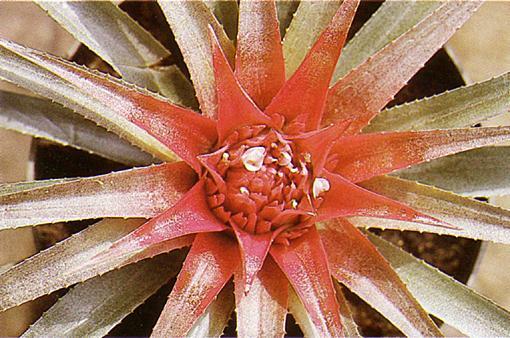 As with many bromeliads, offshoots usually are produced after the formation of a floral scape. They are produced occasionally by nonflowering rosettes. Each rosette flowers once and then dies (a condition known as monocarpy) but, because of the formation of offshoots which eventually flower, a genetic individual of C. berteroniana is polycarpic. C. berteroniana is found throughout the Caribbean and in South America as far south as Brazil. Although locally abundant in a few habitats in Florida these wetland areas are among the most sensitive plant communities and rapidly are being destroyed. As a result, C. berteroniana, which had been classified by the state as threatened, has now been added to the endangered list (Florida Statutes Revised, 1985, Section 581.185). The persistence of natural populations of this bromeliad is unlikely unless additional protection and monitoring are provided and its wetland habitats are preserved. Craighead, F.C. Orchids and other air plants of the Everglades National Park. University of Miami Press, Coral Gables, Florida; 1963. Smith, L.B. 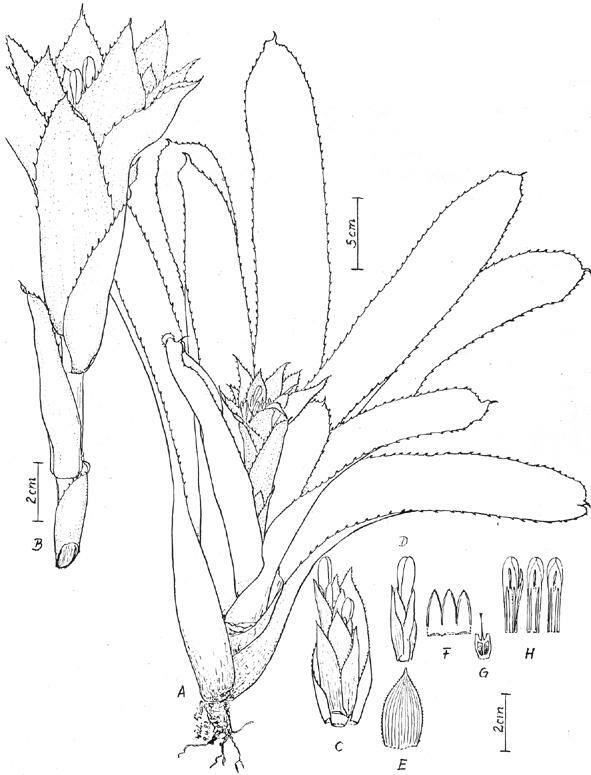 ; Downs, R.J. Tillandsioideae (Bromeliaceae). Flora Neotropica monograph no. 14, part 2. Hafner Press, New York; 1977. Smith, L.B. ; Woods, C.E. The genera of Bromeliaceae in the southeastern United States. J. Arnold Arbor. 56:375-397; 1975. Ward, D. B., editor. Rare and endangered biota of Florida. (Plants; vol. 5) Gainesville: University Presses of Florida; 1979.
illustrating the long, stipitated spikes. Differt a typo var. smithiorum: scapo erecto, bracteis et scapi et primariis reclinatis, inflorescentia pyramidali, spicis et longe stipitatis, bracteis floralibus lavandulaceis et quae sepalis sub anthesim existentibus multo sunt breviores, itemque sepalis lavandulaceis. Holotypus: B.G.H. 30 845a (Juni 1972), leg. C Innes, in herb. Inst. Syst. Bot. Univ. Heidelb. (HEID). Habitat et distributio: Anglia meridionalis (St. Vincent, Baleine Falls, a Windsor Forest in septentrionem spectans), apud 100-250 m.s.m. Plant stemless, flowering up to 80-100 cm high. Leaves numerous, forming a big rosette; sheaths inconspicuous, lanceolate-ovate, 16 cm long, 12 cm wide, dark brown above, pale brown at the base, greenish brown below with some dark brown spots, densely brown lepidote on both sides: blades ligulate with a short, soon drying tip, ± 90 cm long, 7 cm wide, dark green, densely lepidote below, scales in rows along the nerves with a brown center, on the upper side soon becoming glabrous, dentated at the margin; teeth brown, 3 mm apart, pungent. Scape erect (fig. 9), 1 cm in diameter, round, 30 cm long, green to reddish, white-floccose; scape-bracts ± 11 cm long, exceeding the internodes, long-lanceolate, attenuate, recurved, entire, floccose below soon drying to a pale brown. Inflorescence bipinnate, pyramidal, 30 cm long, 15 cm wide at the base; axis reddish, white-floccose; primary bracts rose, recurved, entire, white-floccose below, the lower ones soon drying, as long as the branches, the upper ones shorter than the branches; spikes nearly horizontally spreading, spirostichous, long stipitated (3 cm); stipes reddish, white-floccose; spikes complanate, few flowered, 3-4 cm long, 3 cm wide, distichous. Floral bracts 1 cm long, 1 cm wide, ovate, with short, pungent tip, lavender, white-lepidote, much shorter than the sepals at anthesis, forming big pouches; the floral bracts at the base of the spikes winged (fig. 10). Flowers sessile; sepals asymmetric with a short tip, lavender, 12 mm long; petals ligulate, 20 mm long, 3 mm wide, cucculate, dark violet, white at the base, bearing 2 scales at the base, which are much prolonged next the petals as folds. Epipetalous stamens high connate with the petals; stamens as long as the petals; anthers yellowish-white; style little exceeding the petals, violet; ovary 6 mm long, 5 mm in diameter, light green; epigynous tube short; ovules obtuse. Fig. 10: Aechmea smithiorum var. longistipitata at anthesis. Note the winged floral bract. Holotype: B.G.H. 30 845a (June 1972), leg. C. Innes, in herb. of the Inst. Syst. Bot. of the Univ. of Heidelberg (HEID). Locality and distribution: Windward Islands: St. Vincent, Baleine Falls, northwards to Windsor Forest, at altitude of 100-250 m.
In March 1985, another plant (coll. no. 30 845), collected by C. Innes on St. Vincent, came into flower and was determined by Prof. Dr. W. Rauh as Ae. smithiorum var. smithiorum. But in one character it does not agree with the diagnosis of L.B. Smith (s.l. ), namely, the arrangement of the spikes on the main axis. Dr. Smith states that the spikes are "distichous on the main axis,"2 while the spikes of our plant are spirostichous on the main axis. Another description of Ae. smithiorum by C.H. Wright3 also indicated the spikes as distichous, although the added figure shows, in my opinion, a spirostichous arrangement. In order to clear up this question, we must read the original diagnosis by Mez: ". . . inflorescentia apicem usque densissime bipinnatim paniculate, apicis sessilibus, erectis, optime distichis, ± 6-floris . . "4 We see that Mez indicated only the spikes themselves as distichous, but made no statement about the arrangement of the spikes on the main axis. A photograph of the holotype of Ae. smithiorum (H.H. & G.W. Smith 1425, Herb. Berlin, provides proof that the spikes are spirostichous on the main axis. Scape erect or decurved; scape bracts erect. Inflorescence ellipsoid to subcylindric, dense. Spikes divergent to spreading, sessile to short stipitated. Floral bracts equaling or exceeding the sepals at anthesis, green at the base, lavender at the tip. Scape erect, 1 cm in diameter; scape bracts recurved. Inflorescence pyramidal. Spikes nearly horizontally spreading, long stipitated. Floral bracts much shorter than the sepals at anthesis, lavender, white-lepidote. The var. longistipitata is a nice, but relatively big specimen. It can be cultivated in pots or mounted on wood. We are very grateful to Clive Innes for sending live plants to the Botanical Garden of Heidelberg. Smith, L.B. ; Downs, R.J. Bromelioideae. Flora Neotropica monograph no. 14, pt. 3. New York: Botanical Garden; 1979. = Ae. lavandulacea, Bot. Mag. 131, Tab. 8005; 1905. DC. Monog. Phan. 9: 246; 1896.
or many years the well-known horticulturist, Alvim Seidel, has collected interesting and rare bromeliads mostly in distant and hard-to-reach areas of Brazil. Two of his recent findings are presented here in English descriptions; the Latin diagnosis is in print in Feddes Repertorium, vol. 97. Plant flowering to 110 cm high. Leaves suberect to spreading, forming a rosette of about 90 cm in diameter; sheaths distinct, ovate, to 14 cm long, 11 cm wide, base pale ferruginous, the inner surface dark violet and densely dark brown lepidote, margins entire; blades lingulate, apices rounded and pungent, cuspidate, to 60 cm long, 9 cm wide, few canaliculated, minutely appressed lepidote, margins serrate with antrorse, brown spines to 3 mm long. Scape erect, terete, to 75 cm long, 12 mm in diameter, white lepidote; scape-bracts erect, coriaceous, lanceolate and apiculate, enfolding the scape, to 14 cm long, 30 mm wide, appressed lepidote, margins entire, much longer than the internodes. Inflorescence tripinnate composed, to 20 cm high, 10 cm in diameter, axis erect, white lepidote; primary bracts narrow lanceolate, to 10 cm long, 12 mm wide, submembranaceous, pale salmon-rose, boatshaped carinate, about of equal or to twice the length of the lateral branches, margins entire; lateral branches distant, short and stout-stemmed, divergent, composed of 2-3 densely capitate spikes; secondary bracts similar to the floral bracts but somewhat larger. Flowers subsessile, to 38 mm long. Floral bracts lance-ovate, acute, to 28 mm long, 15 mm wide, carinate, nerved, pale salmon-rose, white lepidote; ovary somewhat trigonous, to 12 mm long, 7 mm in diameter; epigynous tube very distinct and large; sepals lanceolate, pungent apiculate, coriaceous, with strongly asymmetric hyaline margins, 20 mm long, 10 mm wide, pale salmon-rose; petals narrowly ligulate, 30 mm long, orange, the inner base with two entire ligula each, stamens and style included. Leg. Alvim Seidel no. 931. Brazil: Bahia, Brumado, on rocks 400 msm. Mr. Seidel found this handsome aechmea, which is closely related to Ae. aquilega, growing on rocks in full sun in a very arid region (nine months without rainfall). Named in honor of the collector's wife, Hella F. Seidel, for her great help and interest in bromeliad cultivation. E. sepals F. fragment of petal with ligula G. longitudinal section of ovary. Plant to 40 cm high. Leaves green and somewhat reddish tinged, forming a funnelform rosette of 50 cm in diameter. Sheaths ovate, to 15 cm long, 9 cm wide, the outer surface concolorous with the blade, the inner surface purple, indistinct and dispersed appressed lepidote, margins entire; blades lingulate, to 20 cm long, 7 cm wide, apices rounded and apiculate, margins armed with antrorse, brownish green spines ca. 15 mm long. Scape to 12 cm long, terete, 9 mm in diameter, glabrous, about same length as sheaths; scape-bracts erect, broadly ovate, foliaceous, rounded and apiculate, pale purplish, subglabrous, margins serrate, much longer than the 35-mm long internodes, the higher funnel-shaped, bright purple-red, stellate spreading, to 9 cm long, 45 mm wide, indistinctly dissite lepidote. Inflorescence compound capitate, 8 cm long, 4 cm in diameter, about 25-flowered; primary bracts triangular-ovate, acute, similar to the higher scape-bracts, bright purple-red, margins serrate; spikes with elongated rachis densely 4-5-flowered, to 6 cm long. Flowers sessile, erect, to 40 mm long; floral bracts lance-ovate, acuminate and apiculate, to 32 mm long, 16 mm wide, pale rose red, dissite lepidote, margins faintly serrulate; sepals lanceolate, symmetric, coriaceous, with narrow, hyaline margins, obtuse acute and minutely apiculate, 18-20 mm long, 4 mm high connate, white and pale purplish tinged, margins entire; ovary ovate, white, glabrous, 9 mm long, 5 mm in diameter, obtuse trigonous; epigynous tube distinct; style short, 9 mm long,; stigmata erect, 2 mm long; petals white, free, lingulate with erect cucculate blades, the inner surfaces with two longitudinal calli; stamens 18 mm long, first circle high adnate to the petals, second circle free, anthers 7 mm long, subdorsifixed. Leg. Alvim Seidel no. 938. Brazil: Espirito Santo, Santa Maria, alt. 400 msm. All known species of Nidularium have fasciculated lateral spikes. Nidularium alvimii is the first species with elongated, lateral spikes, and for this reason is of particular interest. E. floral bract F. sepals G. longitudinal section of ovary with style H. petals with stamens. ill Harris, owner and developer of the Guatemalan plant exporting company Tropi-Maya was assassinated on February the 19th this year, leaving the bromeliad world without one of its staunchest supporters and suppliers. In that beautiful country of stark contrasts, Bill was a model of intelligence, understanding, moderation, and kindness. His loss will be felt keenly by many far outside the immediate circle of family and close friends. A Canadian with degrees from McGill University and the University of Toronto, he lead a highly successful career in industrial management until visits to Guatemala interested him in the possibilities of establishing a company to export tropical foliage. After conducting a market survey that showed great potential for such a business, and selling most of his possessions, he moved with his family to Guatemala seeking the fulfillment of their new dream. Over the years, Bill and his wife, Ann, developed a 30-acre farm 80 km. south of Guatemala City. They grew dracaenas, yuccas, ficus, and beaucarnias, and shipped the bulk of their plants to markets in Europe. During that time, Bill actively studied the flora of his adopted country, thoroughly enjoying trips with Indian guides to all parts of the country and becoming increasingly aware of the tremendous variety and quantity of epiphytes, especially tillandsias. He occasionally led collecting expeditions several of which included Professor Werner Rauh whose vast knowledge of the native plants made his companionship all the more enjoyable. In the early 1970's Bill began exporting tillandsias to the United States through Gerson Velick and Art Boe. In 1974, he and Paul Isley began forming Rainforest Flora, Inc. to distribute the plants in the western United States. After ten years of work the Harris's dream was becoming a reality. Ann Harris has decided to continue their work and to concentrate on bromeliad exportation. Bill Harris's memory will live on through the bromeliads obtained indirectly through Tropi-Maya now in the collections of thousands of enthusiasts. n an effort to simplify procedures for the members, we have gone to a new system for your membership renewal. We are now sending invoices by first class mail three to five months prior to the expiration date of your membership, rather than as an insert in the Journal. We are using a form similar to the one used last year, and we ask that you complete it in full to help keep our records up to date, and return it at least 45 days prior to the expiration date. Your expiration date is the last day of the month shown on your mailing label. 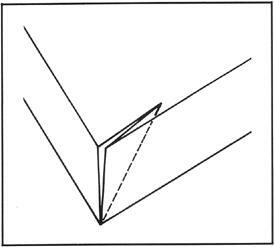 Below is an example of the mailing label. The last line shows a 3 Dec 85. The three is the mail handling code showing this is third class mail. Members who have paid the $5.00 for first class mail will show a "l". The Dec 85 shows that Mr. Moseley's membership will expire on the last day of December, 1985. Many members have written to inquire about a membership roster. Good news! There will be a new roster available by the World Conference in New Orleans, May 1986. The names and addresses of all current members of BSI will be listed. There will be more news about this in future Journals regarding the cost, and how to order. Suggestions for improvements to benefit the needs of the membership are always welcome. If you have an idea please write to me, or to the director of your region. BSI is for the members, and you are our best resource for building and improving our organization. he purpose of the arrangement section in a bromeliad show," according to the Handbook for Judges and Exhibitors, "is to educate the public and other growers to the many decorative uses of bromeliads throughout their homes." There is, of course, no reason to restrict their use to people's homes because art forms are acceptable almost anywhere. Bromeliad arranging is a double challenge since the materials must be grown before they can be arranged, and they are not readily available at any florist shop or supermarket. Brilliant color and exotic form are the characteristics which usually draw our eyes to bromeliads, but as the inflorescences dry they change color to varying shades of beige through rich browns, but the unusual forms remain and become intensified. By combining these fall hues and unusual shapes so that some elements contrast while others complement each other it is possible to construct an artistic design of dried materials with an effect not possible with fresh blooms. Fig. 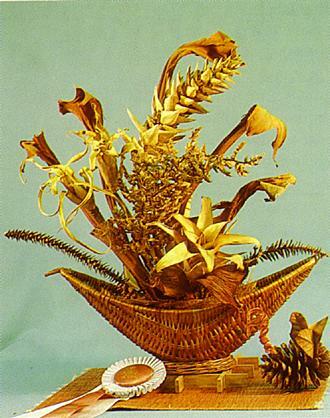 14: "Sailing into Autumn," judged best artistic design at the 1985 Florida State Bromeliad Show in Miami. 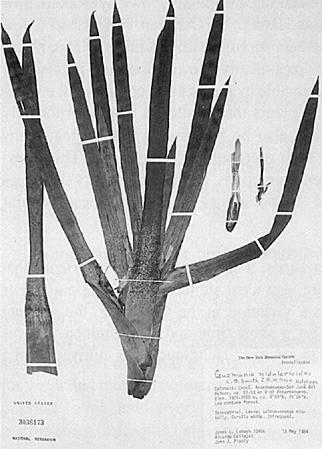 The bromeliads shown in figure 14 (from left to right) are two Aechmea recurvata mounted on dried hollow stems of the rice paper plant, Tetrapanax papyriferum; at top center is the inflorescence of Streptocalyx poeppigii, below which is the curving Aechmea smithiorum. The focal point at the base is Nidularium ferdinando-coburgii. The curving walnut color foliage is the sheath of Philodendron selloum. Pitcairnia leaves complete the arrangement by covering the excess stems and mechanics at the rear. The stems curving over the edge at either end of the basket are from a monkey puzzle tree, Araucaria. In constructing this medium-size arrangement, a needleholder was adhered to the inside of a boat-shaped basket. It held a two-inch thick block of Styrofoam in place. All stems were wired to floral "pics"1 and then inserted into the Styrofoam taking care not to pull the stems out or to attempt to replace them too many times because the holes remain permanently. As a next to final touch, a straw mat and natural wood trivet repeating the design colors for emphasis were placed under the basket. Since the shape of the basket suggested a sailboat, the theme chosen for this exhibit was "Sailing Into Autumn." The fall colors were reminiscent of Thanksgiving so a turkey made of a pinecone with a tail of allspice leaves, Pimenta oficinalis—an appropriate accessory—was added as the final touch. 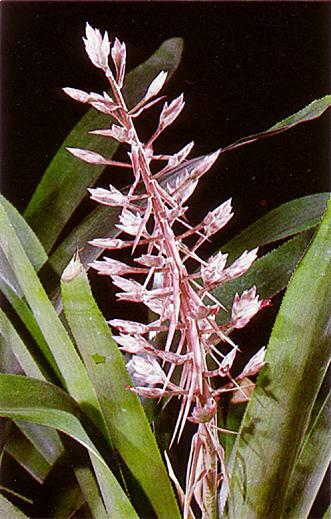 Other bromeliad inflorescences which might be used if you do not have Aechmea smithiorum and Streptocalyx poeppigii are Hohenbergia stellata, Tillandsia fasciculata, and all species of Nidularium. Pics are the green, sharp-pointed sticks wired to flower show entry cards. If not available at craft or florist shops they may be improvised by sharpening the burned-out tips of safety matches. erhaps brainwash is too strong a term to use, but I could find no other word in Webster that was as apt to the situation. One of the definitions of brain-wash is "persuasion by propaganda or salesmanship" and although it was, in my opinion, lack of actual growing knowledge, as well as a necessity for Mother Nature to be taken as gospel, this would apply. From time immemorial, it has been written, taught and exhorted that, basically, tillandsias are epiphytic. Apparently, no one considered the various theories that bromeliads may have originated from one or a few terrestrial species. The possibility of the statement "you can take the boy out of the farm, but you can't take the farm out of the boy," applying to bromeliads apparently has not been tested too thoroughly. Benzing writes: "Some bromeliads are facultative epiphytes—in other words, they can grow as terrestrials. A substantial number, like many tillandsioids are obligate epiphytes, i.e., they cannot grow in soil." Every grower has found that the "soft" leaved tillandsias, for the most part, grow much more happily as terrestrials. These would include such plants as Tillandsia flabellata, T. multicaulis, T. lucida, T. viridiflora var. variegata, etc., T. cyanea and T. lindenii are native to areas that make them conducive to growing terrestrially. Experimentation has shown that the list does not stop with only these. About three years ago, I decided to test or establish this hypothesis. I started with sixteen tillandsias acknowledged to be epiphytes. They included two varieties of Tillandsia ionantha, T. araujei, T. didisticha, T. stricta, T. caput-medusae, T. bulbosa, T. streptophylla, T. argentea, T. schiedeana, T. tectorum, T. victoriana, T. albida, T. bergeri, etc. I planted all these as terrestrials in four-inch pots. I used a terrestrial mix of humus and sand (commercial azalea mix). They were watered the same as all the terrestrials. The plants were placed where they had slight protection and received strong light, but very little direct sun, perhaps only an hour a day. They were fertilized (some of them) with Jobe's sticks. Results were very interesting. First, they developed a terrestrial type of root and most produced an abundant supply of them. I had previously found that when some of these, such as T. caput-medusae, were laid in a pot with another plant, they would immediately send down roots even though they were not actually planted. Tillandsia stricta has flowered for the past two years and set offshoots. The plants are lush appearing. The inflorescences are no larger than those on plants grown epiphytically. This year there were three inflorescences and I was surprised when they appeared smaller than usual until I noted that all the mounted ones were also smaller than usual this year. Tillandsia ionantha var. ionantha flowered last year and it was a most attractive plant. It opened out more than T. ionantha grown epiphytically, showing the inflorescence to a better advantage—in my opinion. It has set offsets and I would venture to say it will flower again this year. Tillandsia caput-medusae grew larger and definitely more vigorous appearing. It is now on its third generation and each generation has been larger than the last! If the third generation offshoot grows into its present appearance, it is really going to be a great one. There are two offsets showing and they are large, lush, and beautiful! The inflorescence also was larger than the ones on plants grown epiphytically. Tillandsia didisticha is unquestionably happier in a pot in my growing area. I always had problems with this plant as an epiphyte and it has produced a lovely plant grown in this manner. It has not flowered yet, but is large enough (larger than most grown as epiphytes) to flower. Tillandsia tectorum delighted in being a terrestrial. It flowered last year and has produced two beautiful offshoots, which have grown much faster than the offshoots which appeared at the same time on a Tillandsia tectorum grown as an epiphyte. Tillandsia streptophylla took to terrestrial growing like a fish to water. It has gotten nice, and fat, and happy. It would give one the impression that it possibly preferred growing as a terrestrial. Both varieties of T. schiedeana are getting ready to flower. The plants are healthy, sturdy plants and perfectly content growing as terrestrials. Tillandsia araujei has been very interesting in that when the plant had been potted for about a year, approximately an inch of the tip of the plant was accidentally broken off. I simply stuck it in the soil beside the original plant, expecting it to wither and die. Surprisingly, it rooted and started growing! Sometime later, I deliberately broke off another piece and stuck it in the soil and, it too began to grow. Neither of these pieces had any sign of a "base" or root when planted. If the two pieces had not been broken off, I believe this plant would have flowered by this time. Tillandsia argentea is fascinating. It was a very small plant when planted and has not flowered as yet, but it is a beautiful little, fat, fuzzy plant at the present time and will probably flower this year. Tillandsia victoriana grew a little larger than one of the same size that had been mounted on cork. They both flowered about the same time. Several months ago, I planted a number of different species and intend to continue the experiment. Such information as I have gleaned so far, tends to dispute some accepted hypotheses and has become a source of controversial theories. 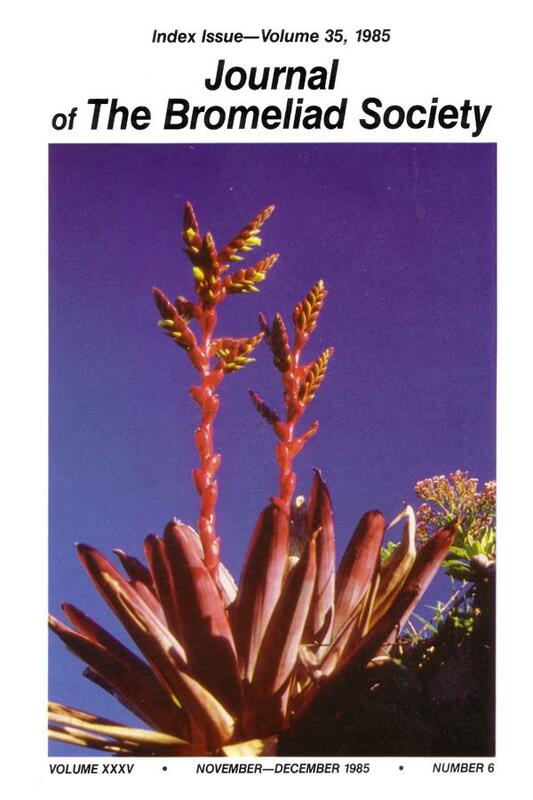 Bromeliad Study Group [Bulletin], 10 (3): 29-32; 1974.
ear Editor: You asked about the cultivation of bromeliads in Zimbabwe, well this country has a climate which lets us grow many kinds of bromeliads outside both in the ground and in trees. In our winter, which is May, June, and July, we have quite cold nights and mornings with frequent ground frosts. The altitude here is 4,000 ft. but in spite of this cold time the days are always nice and warm usually around 70° F. In winter I cut down on the watering of all my bromeliads and some of those in trees might go for a month without being watered and at this cold time I think they could survive for many months with no moisture although our winter is our dry season—no rain from April until the end of October—we usually have quite heavy dew. Around August-September our weather starts to warm up and before the rains come the sun is really burning things up. It is because of this hot period, which is also very dry, one has to be careful to choose a site which gives protection from the sun for the bromeliads planted in the ground. Some years back I used water for my plants which came from a borehole (an underground supply) and I found I was losing plants because of a hard white deposit which was building up on the leaves as the water evaporated. I am very lucky to have river water running through my garden and I now pump this for all my plants and now find a very big improvement on the general health and growth of everything. Most of the bromeliads planted in the ground are planted in raised beds built up with rocks and filled with a mixture of 75 percent sand and 25 percent compost. All of these beds have some shade from trees. In this kind of situation I can grow a very wide range of plants: hohenbergia, guzmania, vriesea, portea, nidularium, billbergia, neoregelia, etc. All grow equally as well. In another area which gets full sun I have planted into the ground species of dyckia, bromelia, and puya, etc. I have a plant of Puya raimondii which is growing very well. It seems to like the cool, clear weather we have here in winter. I wonder how long it will take to flower? Maybe given good conditions in cultivation is will bloom much sooner than it would in its natural habitat. The xerophytic tillandsias I have are all planted on to Velozia [Vellozia] branches and hung up in a shade house, although there is very little shade because some of the area only consists of wire netting stretched over a frame, so far I have not tried planting any of this kind of tillandsia outside, but I see no reason why they should not grow if given the right place. I find Velozia is a very good thing for growing tillandsia seeds on. The seeds stick to it easily because of its rough surface and it retains moisture. But some tillandsia seeds grow equally as well when they stick to the wire netting which surrounds my shade area. I am looking forward to the day when I find a tillandsia growing in my garden from seed blown by the wind from my shade house. In Zimbabwe there are not many people growing bromeliads and it is hard to get new species. Many of my plants came from Mr. Ralf Rawe in the Cape Province of South Africa. If it were not for his nursery my collection would not be what it is today. Now in the middle of winter is seems a long time to November when we will see the rains really start. With all the watering we do there is nothing like a really good thunderstorm to freshen everything up. he Cryptanthus Society, the first specialty affiliate of the Bromeliad Society, Inc., is being formed to unite cryptanthus enthusiasts by means of a quarterly publication. 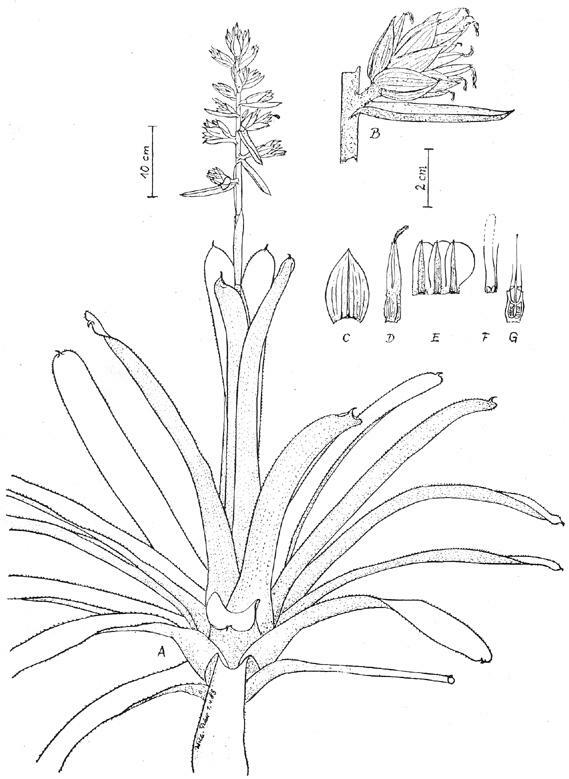 Goals of the society include informing the general public and commercial growers, supporting the identification of new species, promoting the registration of worthy hybrids, furthering judging standards; providing awards to encourage competition, encouraging cryptanthus specialty shows and the fellowship of cryptanthus fanciers. Charter memberships are available through 31 December 1985. The bylaws are being drafted and the first issue of the journal will be published in February 1986. Well-known authorities will provide both interviews and articles. Thousands of plant lovers have never heard of cryptanthus and it is our goal to make these unusual bromeliads widely known. ominations are now being accepted for the election of directors of the Bromeliad Society, Inc. for the term 1987-1989. The Society is divided into 10 geographical regions and each region elects its own director(s). Ballots for this election will be mailed with the May-June issue of the Journal. Nominations must be made in writing and be postmarked no later than 15 March 1986. Each nominee must be a member of the Bromeliad Society, Inc. Six nominations will be accepted for each position. The six earliest postmarks will determine the slate for each position. No director may serve more than two consecutive terms. WHO MAY NOMINATE? Each affiliate president and each director may nominate one candidate for director for his or her region only and one candidate for director-at-large. PROCEDURE FOR NOMINATING: l. Obtain the consent of the nominee. 2. Report the name of the nominee to the Nominations Committee chairman with the name of the region to be represented and a brief biography of the nominee. 3. Request that an acceptance form be sent to the nominee. RESPONSIBILITIES OF THE NOMINEES: By completing, signing, and returning the acceptance form, the nominee agrees to run for the position indicated, to be an active BSI Board member, and to attend all annual Board meetings at his or her own expense (the attendance requirement does not apply to the Outer Region directors). The purpose of this nonprofit corporation is to promote and maintain public and scientific interest in the research, development, preservation, and distribution of Bromeliaceae, both natural and hybrid, throughout the world. You are invited to join. President – Edgar L. Smith, 4415 Vandelia St., Dallas, TX 75219. Vice President – Harold W. Wiedman, Dept. of Biological Sciences, Calif., State University-Sacramento, Sacramento, CA 95819. Corresponding Secretary – Danita Rafalovich, 3956 Minerva Ave., Los Angeles, CA 90066. Membership Secretary – Linda Harbert, 2488 E. 49th, Tulsa, OK 74105. Recording Secretary – Connie Johnson, 13075 SW 60th Ave., Miami, FL 33156. Treasurer – David Gardner, 33 Camden Pl. , Corpus Christi, TX 78412. 1983-1985: David Benzing, At-large, Connie Johnson, Florida, Ron Lucibell, Outer, Valerie L. Steckler, At-large. 1984-1986: George Anderson, At-large, Chet Blackburn, California, Jack Grubb, Louisiana, Paul T. Isley III, California, Carol M. Johnson, Florida, Tom J. Montgomery, Jr., Texas, Hedi Guelz Roesler, Outer, H. W. Wiedman, At-large. 1985-1987: Bobbie H. Beard, Southern, Nat De Leon, At-large, Linda Harbert, Central, Stan Oleson, California, Peter Paroz, Australia, Herbert Plever, Northeastern, Gerald A. Raack, At-large, Robert E. Soppe, Western, Ervin J. Wurthmann, Florida. Luis Ariza Julia, Dominican Republic; Olwen Ferris, Australia; Marcel Lecoufle, France; Harold Martin, New Zealand; Werner Rauh, Germany; Raulino Reitz, Brazil; Walter Richter, Germany; Lyman B. Smith, U.S.; Robert G. Wilson, Costa Rica; Robert W. Read, U.S.; Roberto Burle Marx, Brazil; Victoria Padilla, U.S.; Wilhelm Weber, Germany Racine Foster, U.S.; Elmer J. Lorenz, U.S.. Affiliate shows: Charlien Rose, 4933 Weeping Willow, Houston, TX 77092. 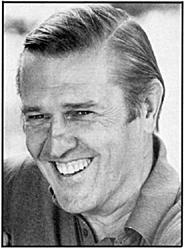 Affiliated societies newsletter and liaison: Stan Oleson, 1030 Alma, San Pedro, CA 90731. Awarded cultivars: Tom J. Montgomery, Jr., 206 Eastway, Galena Park, TX 77547. Conservation: Mark A. Dimmitt, The Arizona-Sonora Desert Museum, Rt. 9, Box 900, Tucson, AZ 85743. Editorial office: 1508 Lake Shore Drive, Orlando, FL 32803. 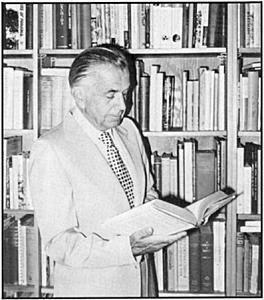 Address claims for current and 1984 issues to the editor; for back issues other than 1984 and 1985, address H. W. Wiedman, Dept. of Biological Sciences, Calif. State University-Sacramento, Sacramento, CA 95819. Advertising rates upon request. Hybrid registration: Nat De Leon, P.O. Box 560524, Miami, FL 33256-0524. Judges certification: William E. Frazel 12500 Lake Rd., Ft. Lauderdale, FL 33325. Membership and subscriptions to the Journal: Linda Harbert, 2488 E. 49th, Tulsa, OK 74105. See title page, for membership dues. BSI Membership Promotion: Bob D. Whitman, 2355 Rusk, Beaumont, TX 77702. Mulford B. Foster Identification Center: Send specimens and contributions to Harry E. Luther, at the Center, Marie Selby Botanical Gardens, 811 South Palm Ave., Sarasota, FL 33577. Publications: Annie Navetta, 3236 S.E. Clinton, Portland, OR 97202. Seed Bank: Harvey Beltz, 3927 Michigan Circle, Shreveport, LA 71109. Slide library: Mary E. Musleh, Rt. 2, Box 2452, Melrose, FL 32666. World Conference: Gerald A. Raack, 472 Greenhollow Dr., Pataskala, OH 43062. Photo by Luiz Claudio Marigo. Nidularium itatiaiae was found by M.B. Foster in 1939 growing as an epiphyte in the forest, but the author (pages 243-245) has discovered it growing mainly on the ground or on rocks in the Itatiaia National Park, Brazil. November 9-10 Caloosahatchee Bromeliad Society 3rd Annual Show dedicated to the memory of Dr. John S. McKenzie, Jr. Lee County Garden Council & Activities Center, Ft. Myers, FL. Peggy Bailey, (813) 694-1803. Send notices for the Calendar of Shows directly to the editor as early as possible. For example, the notice of a show scheduled for early in May 1986 should appear in the March-April issue of the Journal. The last possible date to get material into that issue is 13 January 1986. Show notices are normally limited to events sponsored by BSI affiliates or those in which affiliates are taking a major part.